Chemistry as a metaphor for life. Blurb writers love phrases like that. They are short, succinct and intriguing. But how hard is it to write something that would deliver on such a promise? I had never read anything quite like ‘The Periodic Table’. It more than delivered – it exceeded my expectations. The book is a beautiful marriage of life and science, perfectly accessible to a regular reader. The truth is that anything can be fascinating provided it’s explained by a person truly passionate about the subject (and it doesn’t hurt if they are also mind-blowingly good writers like Primo Levi). 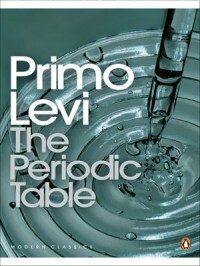 You might know Primo Levi as an Auschwitz survivor and you might worry that ‘The Periodic Table’ would be too dark of a read. But it is not ‘If This is A Man’. Holocaust is still lurking around shadowy corners of this book and it is quite obvious that Primo Levi would be a different kind of writer if it weren’t for that trauma (some might even ask if he would be a writer at all) but this collection of anecdotes, recollections, allegory and glimpses is, I would venture to say, an ultimately almost positive (if not downright optimistic) work. The very first story might be a little odd and discouraging but either soldier on or skip it altogether – it’s not really representative of the rest of the book. I found reading about the intricacies of a Piedmont dialect with its borrowings from Hebrew rather fascinating. I am interested in the process in which words change their meaning entirely (not unlike they did in cockney rhyming slang) but I can appreciate that such linguistic elaborations are not to everyone’s taste. Further chapters – each named after a different chemical element document Levi’s life as a chemist and they are often funny, tender and bitter-sweet. They are intersected with fictional short stories which read like fairy tales and where chemical elements take on almost mythical qualities. The most striking story is the penultimate one in which Levi comes across a German who oversaw his work in the laboratory in Auschwitz. Like a true scientist Levi wants to rationalise and understand his feelings. He wants to know what it is he expects from the encounter. His struggle to organise the swarm of emotions is probably the most touching part of the book. ‘The Periodic Table’ is not a science book, whoever calls it that has no idea what they are talking about. It’s a book about the love for science. It’s about what every scientist wants us to believe – that their subject is not some obscure knowledge of interest to few, but it’s life and reality that makes us breathe, move and think. The last story in the collection spells it out for you in case you missed the more subtle hints in the previous chapters. I liked it a lot because it reminded of the times when, as a little girl, I fantasised about the history of atoms in my body – where they had been before me. I imagined them as a part of dinosaurs, king and queens, old houses, wild horses… The story is Levi’s crown argument for his thesis that it is only through matter (not sprit) we can know the universe. (And this is a thesis I can easily believe in – it appeals to me. 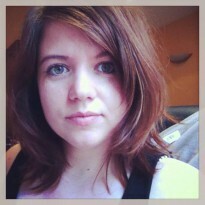 I am not what you call ‘spritual’).